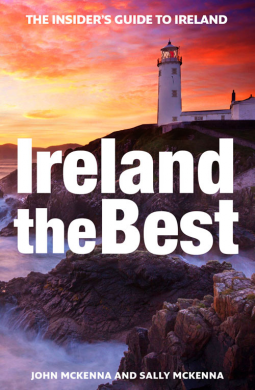 A great travel guide: Ireland the Best by McKenna – Joyce's mystery and fiction book reviews with some non-fiction too! This is an incredibly comprehensive and detailed guide to traveling in Ireland. The book starts by acknowledging the country’s “famously big attractions” and also includes information on best annual events and “what the Irish gave to the modern world.” The next section on Dublin has 34 sections; many of these have to do with food and with drinks ranging from coffee to cocktails. Of course, there is also a listing of Dublin’s main attractions, stores, walks and views. There are similarly comprehensive sections on other cities including Belfast, Cork and thee Galway area. In addition to many geographic area breakdowns, there are sections on historical places, outdoor places, strolls and more. If you are thinking of traveling to Ireland (or dreaming of going), I highly recommend this book. Many thanks to NetGalley and the publisher. I only wish that I could hop on a plane now!